Donald Tusk, EU Council President. EUROPEAN UNION CHIEF Donald Tusk has accused US President Donald Trump of being averse to a “strong and united” Europe and also warned against the emergence of a “brownshirt” nationalist front in EU elections next year. “I’m speaking about facts, not propaganda,” Tusk – a possible future Polish president – said on the eve of celebrations to mark Poland’s 100th anniversary of independence. 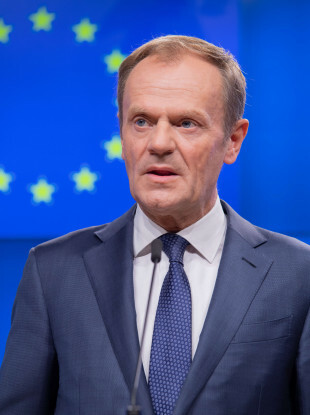 Looking ahead to the European Parliament elections in May, Tusk warned against the emergence of a nationalist front opposed to the EU itself. Email “Donald Tusk lashes out at Trump's stance on 'strong and united' Europe”. Feedback on “Donald Tusk lashes out at Trump's stance on 'strong and united' Europe”.